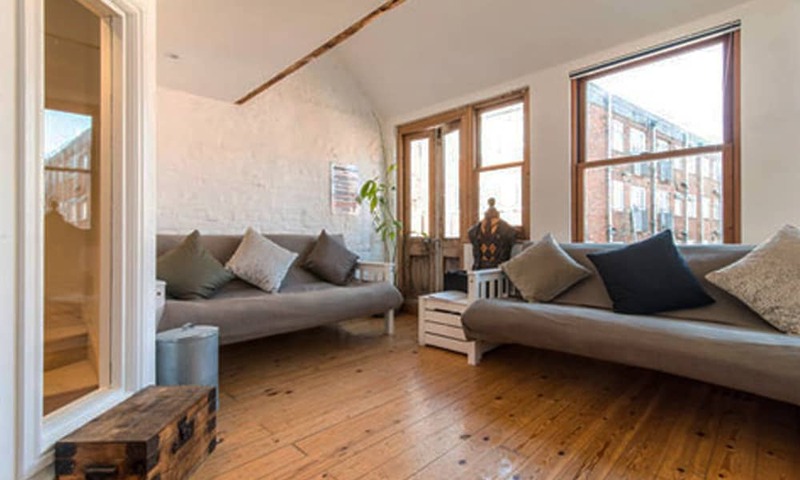 This luxury barn style self catering property in Brighton can sleep up to 31 people! It's spread over 5 half levels, with 5 bedrooms, 4 bathrooms, and free on street parking. The property has a huge open plan living and entertainment space to accommodate the whole group, plus a first floor balcony/terrace. The property is accessed through its own private entrance at the front of the property. Please note: This accommodation is currently being renovated and will sleep 24 (+7 on sofabeds). 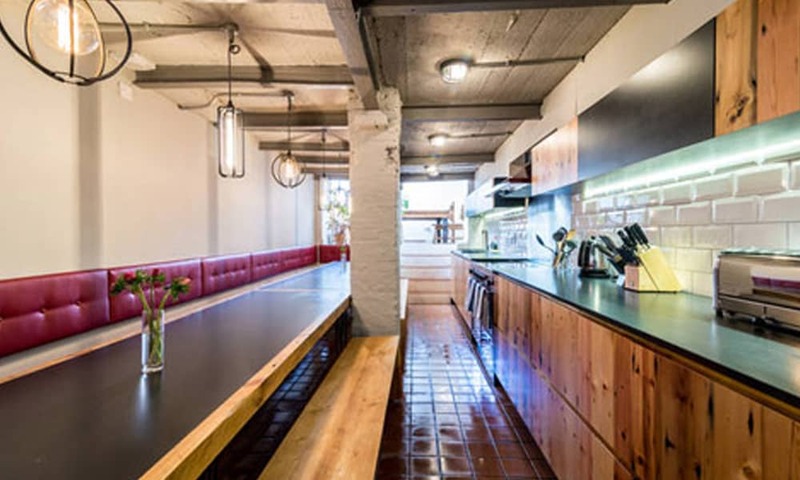 A sensational open plan space, with double height - 18ft high, ceilings and the original exposed oak beams and stripped wooden floor. This large room has a patio door out to the balcony, plus a large dining table to seat up to 14 guests, made from a former barn door (there is an additional dining area on the lower ground floor level too!). The entertainment space has a large HDTV, BluRay player and iPod Dock. This room has sofa beds to sleep up to 5 people. 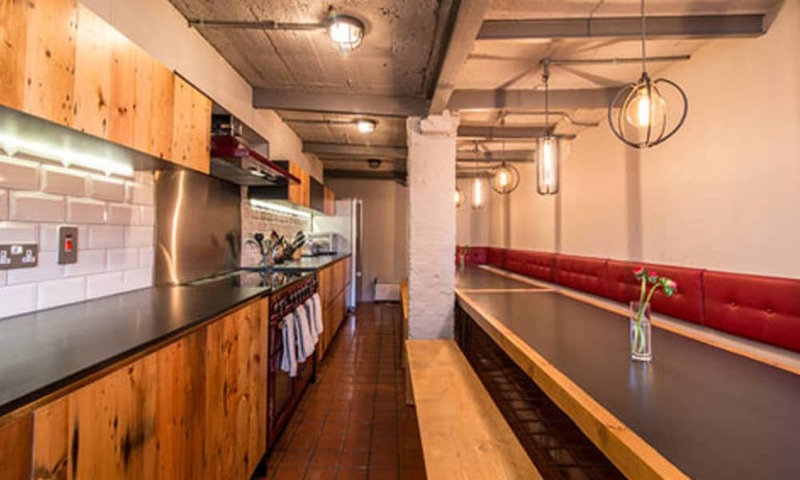 Situated on the lower ground floor of this large property, the kitchen has plenty of work space and storage. The appliances include an electric oven, 4 ring gas hob, and a fridge freezer. There is an additional raised conservatory style dining area with patio doors to a terrace. 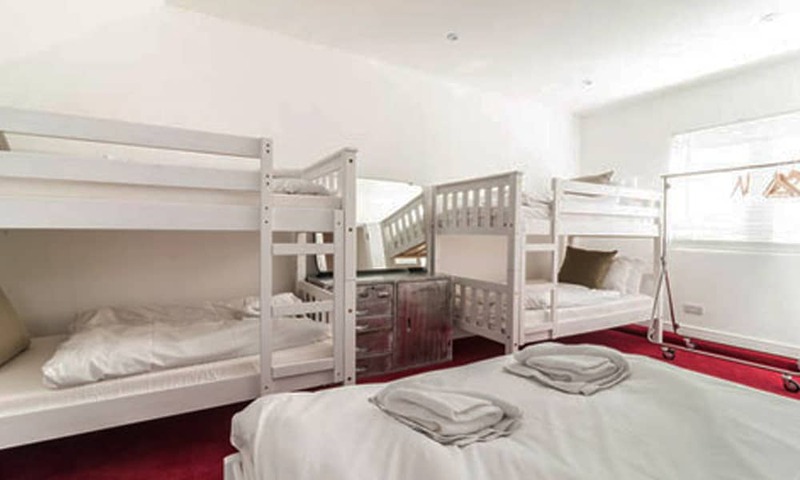 This room sleeps up to 3 people in a double bunk bed and has its own ensuite bathroom! This bedroom sleeps 2 people in a double bed. This room can sleep up to 8 people together in 4 bunk beds. This room sleeps 8 people in a Treble Bunk sleeps 3 (double and single ) 2 bunk beds and one single, this room also has an ensuite bathroom. There are 2 outdoor spaces at the property; a balcony accessed from the living and entertainment space on the first floor, plus a small decked patio on the lower ground floor accessed from either bedroom 2 or through double patio doors from the kitchen/dining room. There are 4 bathrooms in total at the property. The first bathroom is a large family bathroom with a double ended bath with shower over, a wash hand basin and a W.C. 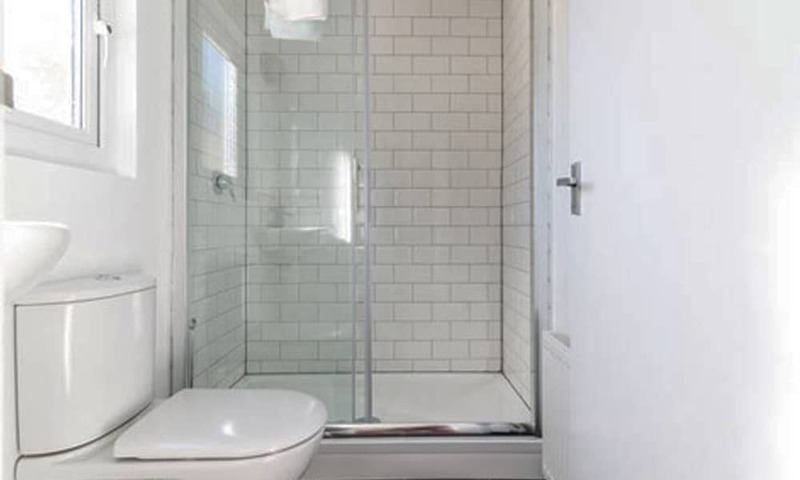 The second bathroom is an Ensuite shower room from Bedroom 2 with a wash hand basin and a W.C. 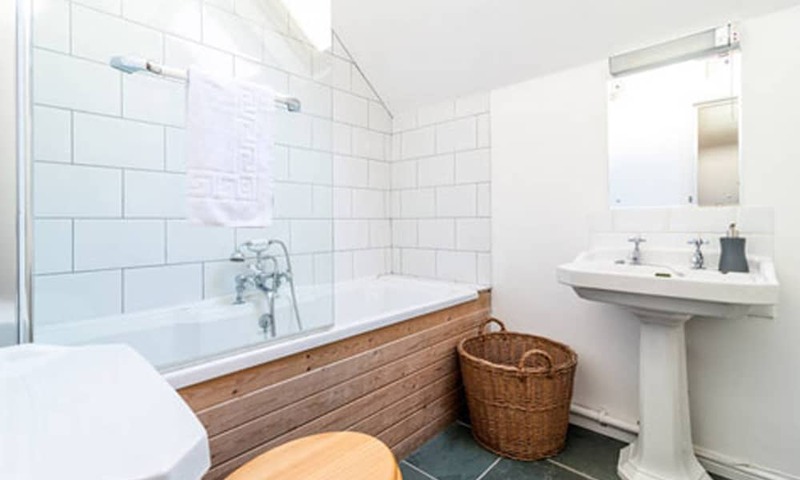 The third bathroom is an additional shower room with a W.C. and a wash hand basin which is accessed from kitchen on the lower ground floor level. The fourth bathroom is Ensuite to Bedroom 5 with a wash hand basin and W.C.